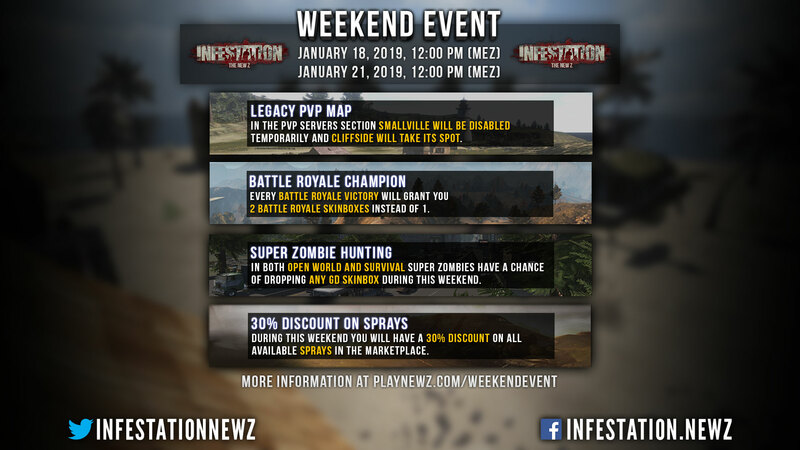 In the PVP Servers section Smallville will be disabled temporarily and Cliffside will take its spot for this weekend only. Every Battle Royale victory will grant you 2 Battle Royale skinboxes instead of 1. In both Open World and Survival Super Zombies have a chance of dropping any GD Skinbox during this weekend. Have fun hunting! 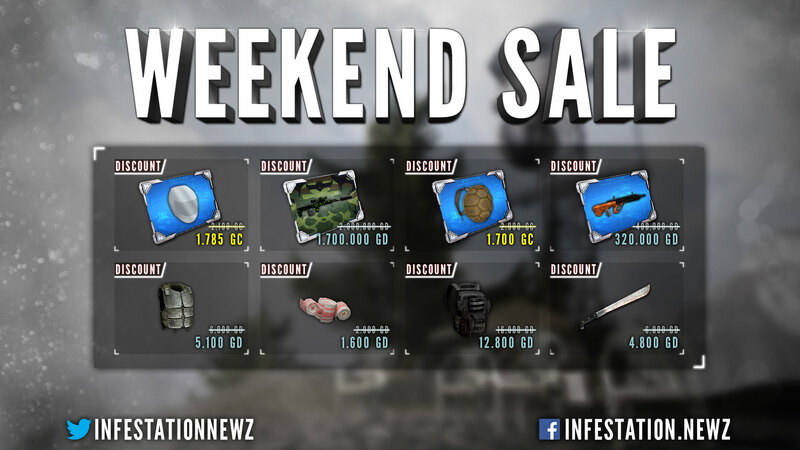 During this weekend you will have a 30% discount on all available sprays in the marketplace. You want us to add more drinkable consumables or you think that the current water bottle that is already in-game should give more water when consuming? So you mean, more spawning?